A murderous romp filled with unforgettable music, non-stop laughs and a scene-stealing role for one actor, The Production Company (TPC) presents the Australian premiere of A Gentleman’s Guide to Love & Murder at Arts Centre Melbourne from 27 October 2018. 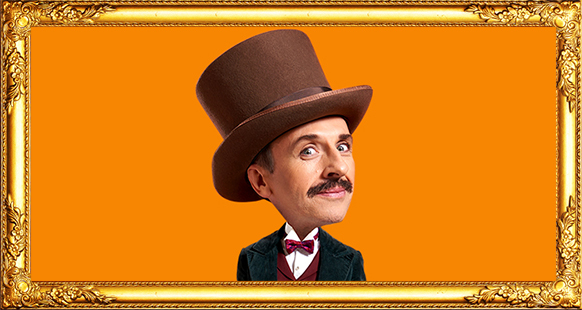 A Gentleman’s Guide to Love & Murder is the hilariously funny musical about Monty Navarro – a penniless clerk who discovers he is ninth in line to be Lord D’Ysquith, the Earl of Highhurst. But when the D’Ysquith family dismiss Monty’s claim, all eight family members in line to be Earl, surprisingly start dying from unnatural causes! This dastardly plot has been created to feature a single virtuoso performer as the D’Ysquith family; quadruple Helpmann Award winner Mitchell Butel stars in these eight roles. Between murders, Monty is trying to woo Sibella Hallward until he finds himself drawn to the young Phoebe D’Ysquith. With looks like his, he could get away with murder! Joining Butel on stage is Chris Ryan (King Kong) who makes his TPC debut as Monty, Alinta Chidzey (Jesus Christ Superstar, Curtains) plays Sibella Hallward, Genevieve Kingsford (Brigadoon, Light in the Piazza) is Phoebe D’Ysquith and the legendary Nancye Hayes returns as the mysterious Miss Shingle. They are joined by Annie Aitken, Johanna Allen, Matt Heyward, Paul Hughes, Jennifer Peers, Matthew Predny and Drew Watson. Roger Hodgman directs, with musical direction by Kellie Dickerson and choreography by Dana Jolly. Based on Roy Horniman’s 1907 novel Israel Rank: The Autobiography of a Criminal, A Gentleman’s Guide to Love & Murder is a musical comedy, with the book and lyrics by Robert L. Freedman and the music and lyrics by Steven Lutvak. The score includes the songs A Warning to the Audience, I Don’t Understand the Poor, Poison in My Pocket, Better with a Man, Why Are All The D’Ysquiths Dying? and Looking Down The Barrel of a Gun! The musical was the most-nominated show of the 2014 season with ten Tony nominations and four wins, including Best Musical, Book, Direction and Costumes, it also earned seven Drama Desk Awards (including Best Musical), four Outer Critics Circle Awards (including Best Musical) and one Drama League Award (Best Musical). For more information, visit: www.theproductioncompany.com.au for details.